Weight Loss Plateau, losing weight is one of the most difficult task to do. Weight loss is a very complicated task for every overweight person but losing weight for them is really important as well. 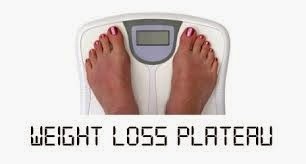 Usually people face a problem known as weight loss plateau when they no longer lose their weight. This is a situation that every common person faces somewhere in their lives. Before getting worried about this thing, people should know that losing weight slowly and even stalling of the weight is normal. Hitting weight loss plateau is a very common consequence of following a weight loss regime. Everyone trying to lose extra body fat approach to a plateau eventually. People are usually worried when it happens to them. After hitting a plateau, people are usually discouraged and they stop their efforts for losing weight. Though the reality is that the at times the weight loss strategies also become stalled. When a person faces a plateau, he must not be worried about it. He should try looking up for the causes of acquiring the plateau and should try to overcome them in all the possible ways that he can. Usually when a person starts losing weight, he loses his weight really fast in the first week. A speedy drop of weight is a normal condition in the first week because a person suddenly stops the intake of extra calories. A person usually faces weight loss plateau when the process of metabolism in the body slows down. As a person starts losing his muscle mass, the process that burns the calories slows down. Due to this, a person starts losing fewer calories than that he was losing in the start. The weight loss activities result in losing less weight due to the slower metabolism. For overcoming the plateau, a person must increase the time of his daily exercise. He should exercise more for increasing the rate of metabolism. Adding extra fifteen to thirty minutes of daily workout can be a great help for him. The intake of even fewer calories can also be a reason of hitting plateaus. When facing a plateau, a person should try to cut down more calories from his diet. Intake of fewer calories can be really helpful for avoiding plateaus.